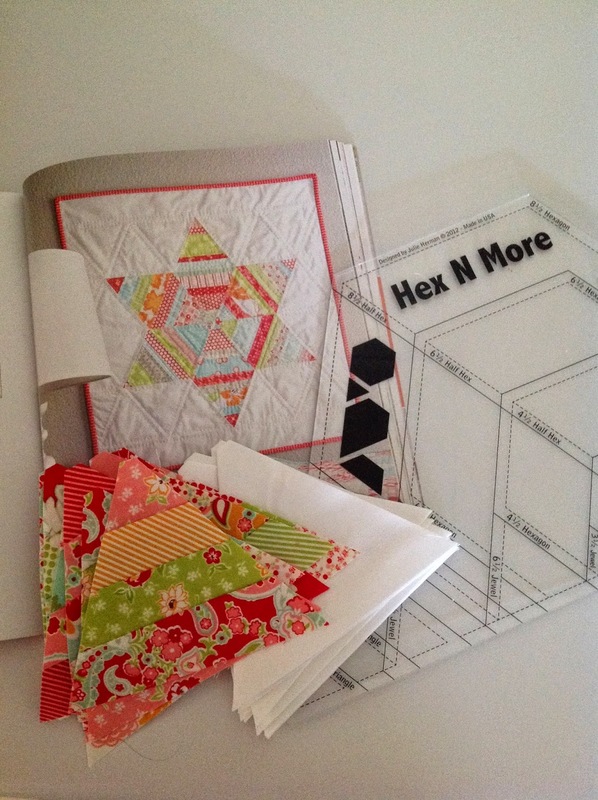 and I'm in and off, making "Adorn" from Camille's book "Simply Retro"
Perfect timing to use up some Scrumptious Scraps. I had to stop here for a while so I could go watch Dec play football and get my dose of Pug cuddles. 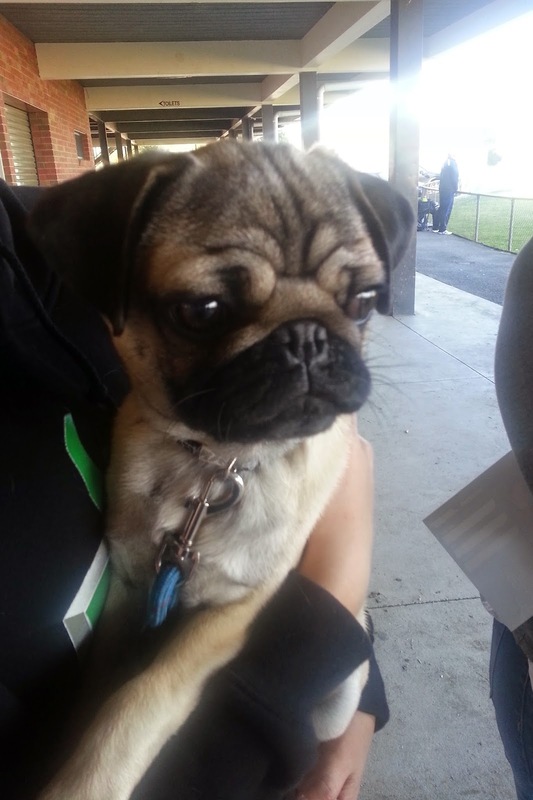 He is adorable and if you have been visiting here for a while you may remember that I lost my precious Pure Bread Pug Molly a little while ago now and I''m starting to think that it is almost the right time to add a new member to our family. Back home and a little more sewing, some quilting and ta da ............ My Adorn was finished. Mine has finished at 18" x 20"
I also added the little hoop to my collection this week. Hope you have found some time to do something you love. I soooo love your wall of minis and your new wall hanging is just gorgeous :) Barb. 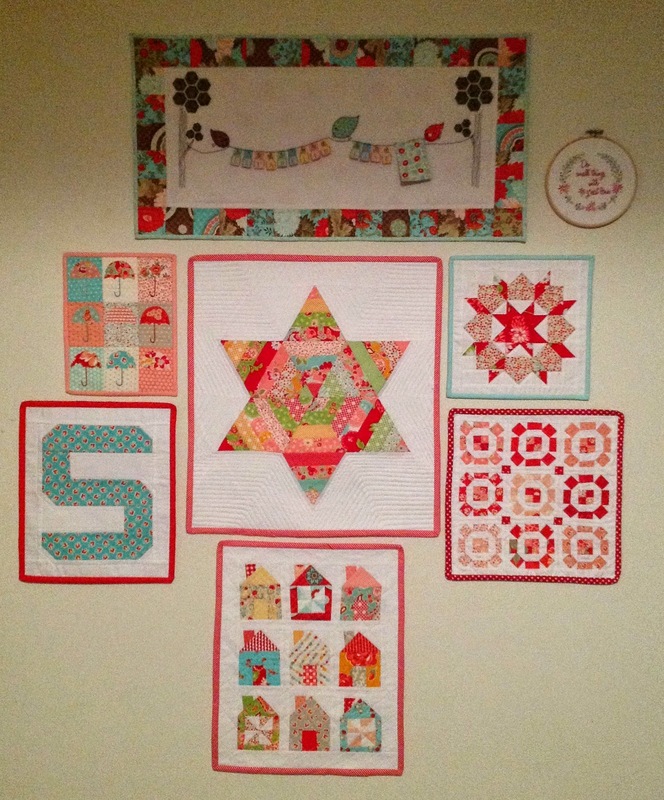 Your star mini 'adorns' your wall beautifully Sharon! The Pug puppy is very cute too! Pretty wall hanging Sharon. I like the way you have put all those little minis on your wall. It's lovely Sharon, the wall is looking good. 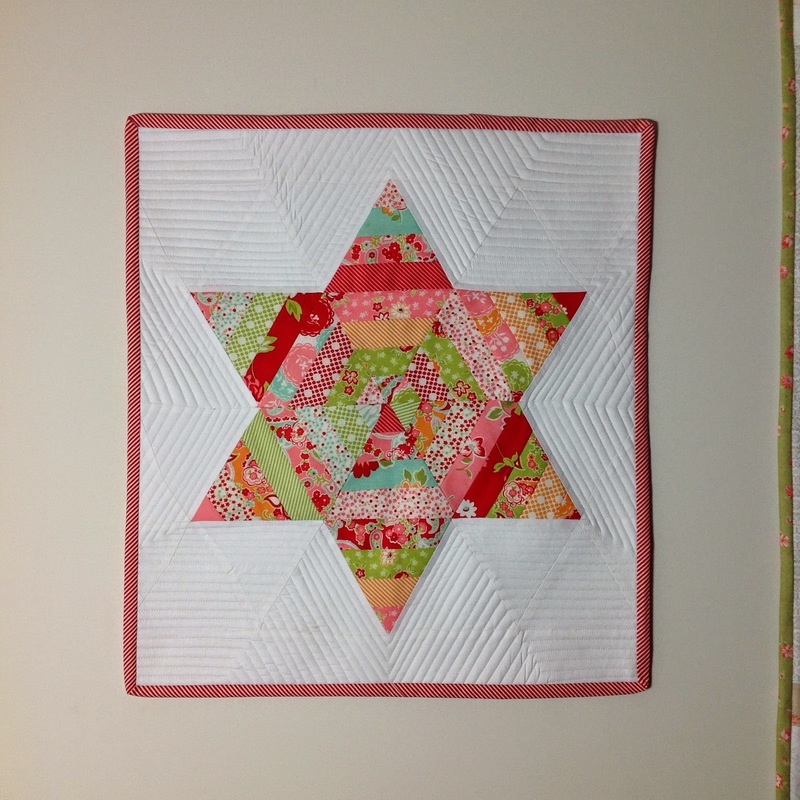 Another beautiful addition to your little quilts wall. Gee you finished that quickly! I do so love this mini. I had not purchased that particular book. Highly recommended? 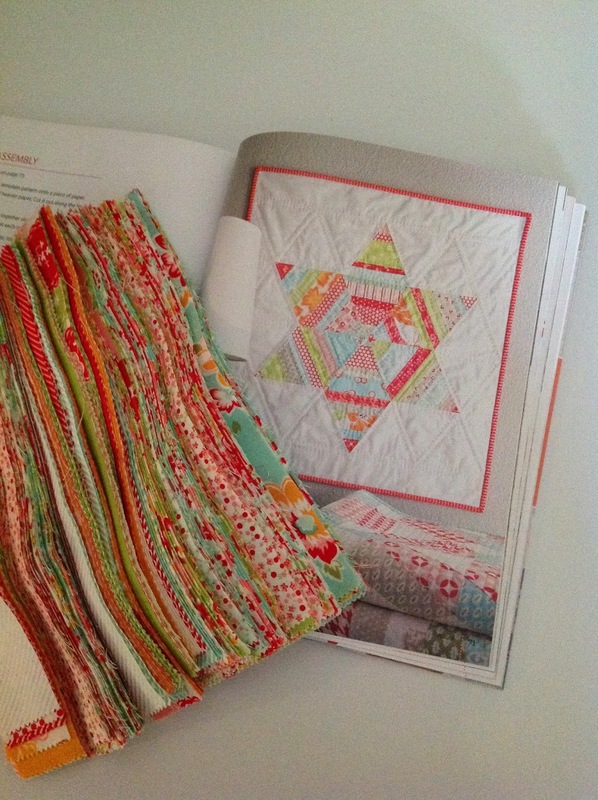 lovely mini quilt.. and so fun to see a version of my lovely hoop in your house.. does that make us twins? Its so cute! I thought it was a big one until you mentioned the size. Such stunning colours aren't they. 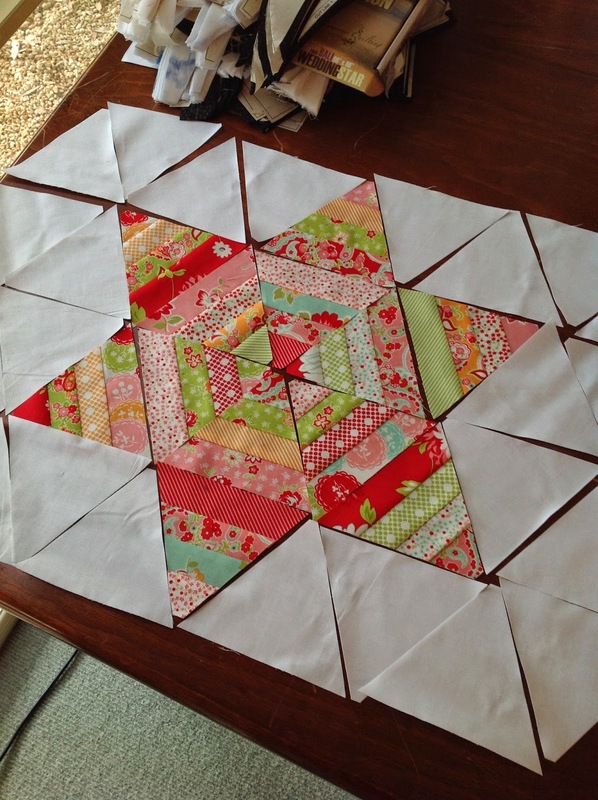 Love the colours in your new Adorn quilt - it looks great on your mini quilt wall too! Wow, it looks great. 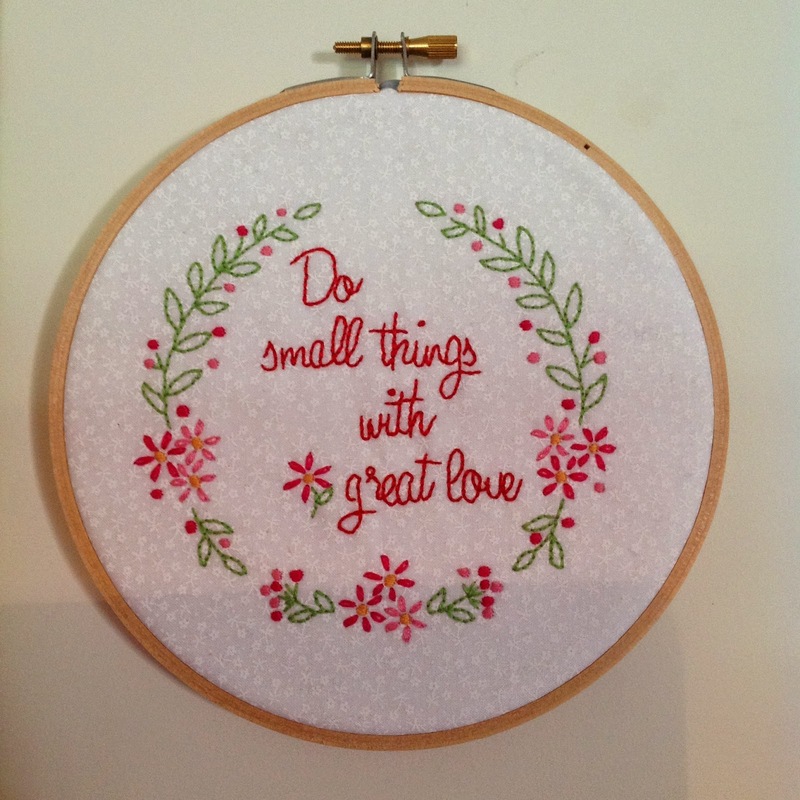 A lovely addition to your display along with the pretty hoop.